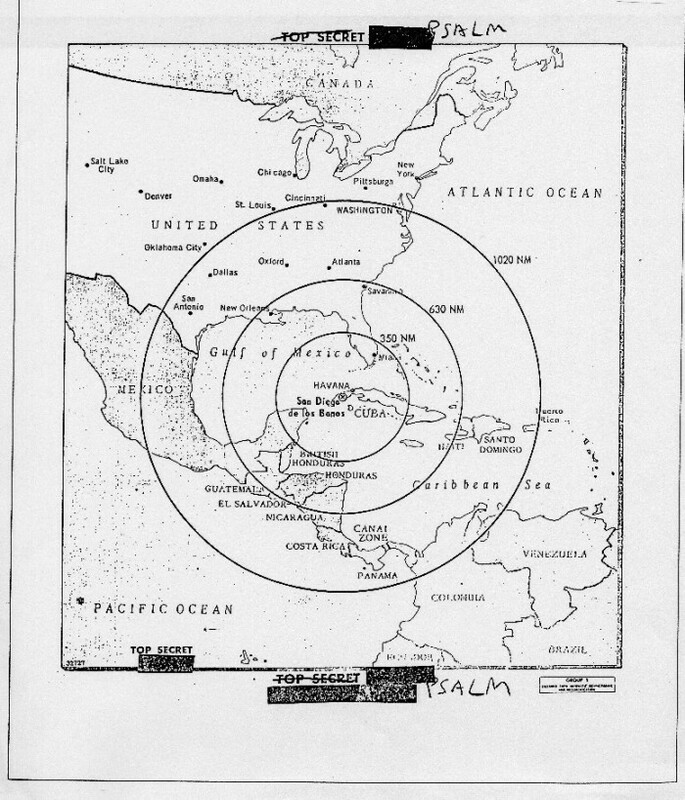 Map of Missile Range in Cuba (1). CIA briefing board for JFK showing range of Soviet MRBMs (Bobby Kennedy on 16 October jokingly asked whether the missiles could hit Oxford, Mississippi, where federal marshals had intervened only two weeks earlier, so Oxford was included). PSALM was the special codeword for intelligence data on missiles in Cuba, a compartment created at President Kennedy’s insistence for greater control of this sensitive information.